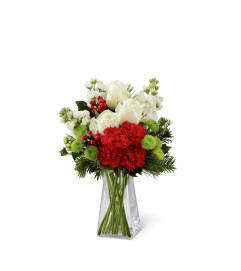 A winter wonderland that blossoms with an elegant holiday style, this fresh flower bouquet is set to delight your special recipient with each beautiful bloom. 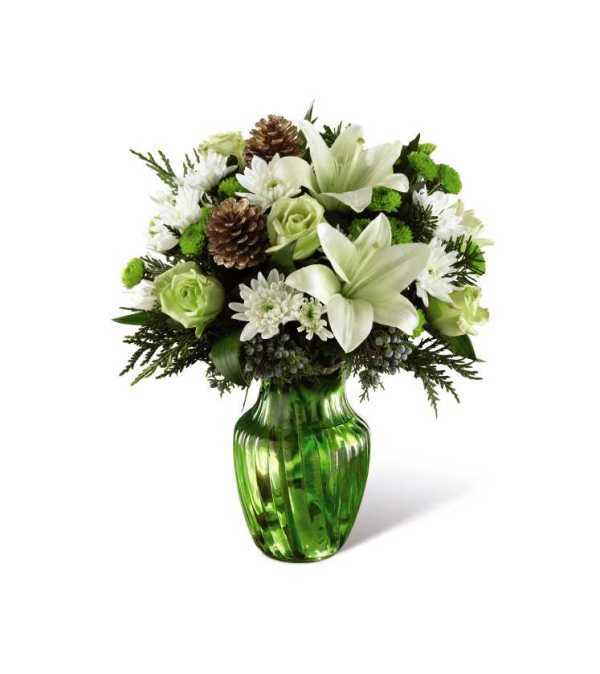 Crisp white Asiatic Lilies and chrysanthemums look snowy and bright amongst jade green roses, bright green button poms, gold pine cones, and an assortment of fragrant Christmas greens arranged beautifully in an eye-catching green swirled glass vase. 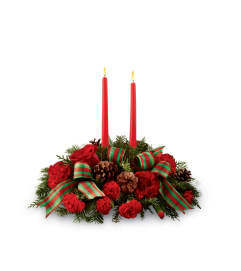 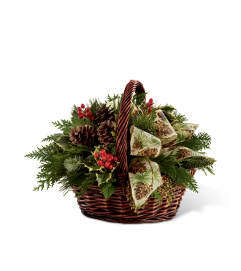 A wonderful way to send your warmest season's greetings to your recipient this Christmas!